I guess if I am going to be a blogger, I must reserve the right to disappear now and then. It seems to be necessary. I have a crazy life – wonderful, but crazy – and you just never know what is going to happen. I began the month of April by almost running over myself with my van. I am not telling you about this for any other reason but that awareness may keep you from making the same mistake. I was watching over my Mom’s house while she was in California. I needed to take the trashcan to the street and it was very dark because we do not have street lights. My mother lives on the greenbelt, and I backed my van around so the back was facing the greenbelt and the headlights were shining out the drive to the street. I turned on the brights and put it in Park. That is, I thought it was in Park. But it must have popped right back out into Reverse because when I got out, the door knocked me down. Not having a solution for this situation, I first tried to pull myself back into the vehicle so I could stop it from going into the greenbelt. Not a good idea. It knocked me down again, and this time, my legs were under the van. The scramble to get clear pulled every muscle and ligament on my right side, but I did it, and the van was stopped by a gravel berm before it could roll into the greenbelt. Well, not WELL, but well. I did not feel like sitting much for the last three weeks because my tailbone is not happy either, so writing a blog post just didn’t make it into the schedule! Lesson Learned #1: Do not leave your car running and get out of it. You would not believe how many stories I have heard since this happened. I guess it happens a lot, sometimes with much worse consequences. Lesson Learned #2: Stay focused, dammit! How my garden grows . . . I apologize to those of you who have no interest in gardening, but it is a HUGE part of my creative life and this blog is about sharing my creative life, so sometimes, it is about gardening. Tis the season. Here’s how the Morning Glories in Sheer Heaven “pots” look today . . . I can pick up the containers and the roots are all the way to the bottom, so they go in the ground this morning. I will show you how that works next time. Right – a little person, or Shaman or something, right? It’s a large brick thing from Lowes called Perfect Edge, I think. They cost $1.81 each. I am going to find a way of turning these into little guardian guys to bless and protect my garden. I will let you know what I come up with. Meanwhile, you can try it too. Please share if you do. What these are really for is edging flower beds and they are great. The way they fit each other allows you to turn corners, create curves, and pretty much make your beds any shape you want. So . . . I am looking at these and thinking that a girl with a *very* sore right arm and shoulder should not be considering redoing her hardscaping. Should she? I can get Mark to help carry bricks and pile them up for me, but I am much too much a control freak to let him place them, of course. So, my healing has taken a bit longer because of lots of bricks. Here is my “construction site”. It has not been cleaned up yet, but all my edging is in place. 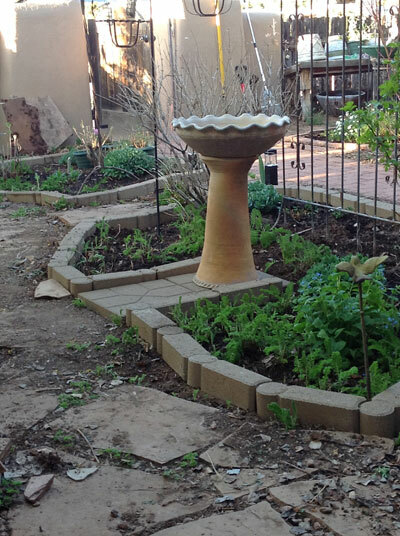 I had to make these “organic” because I had to fit around the flagstone walk I put in years ago. 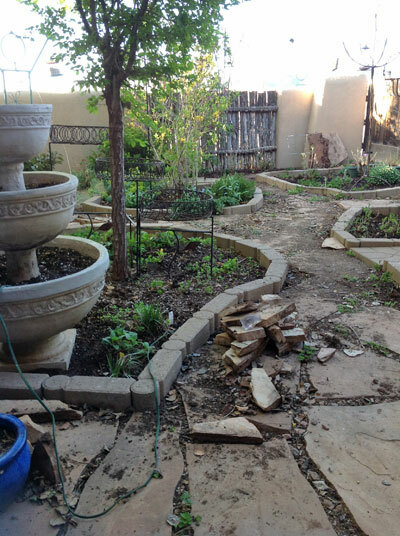 Oh right – I was chiseling flagstone too. Am I sore? Yes. But also happy with the result. Try it. My first Hummingbird arrived on Friday!! I don’t think it was Helen because she didn’t know her way around where the feeders are. I’ll be looking for her though! 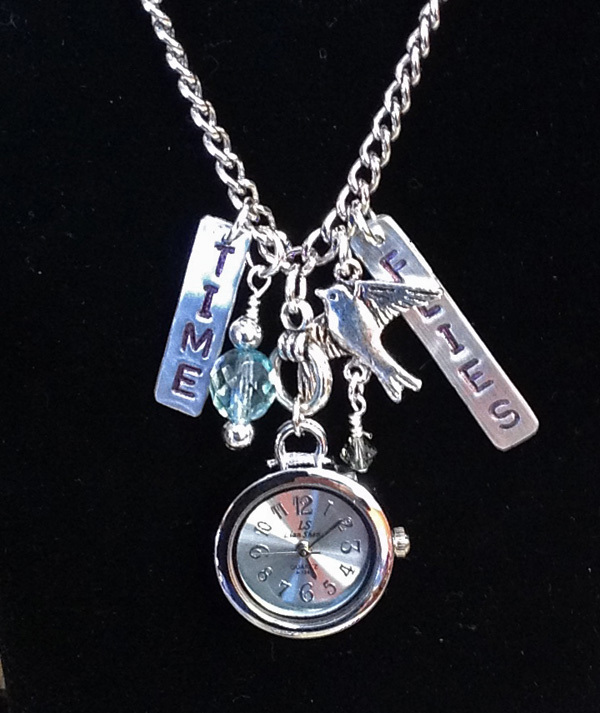 On the jewelry making front, I am so concerned with time that I started making some necklaces with actual working watch charms on them (see the first photo in this post). They have different phrases like Me Time, High Time, In the Moment, etc. I love stamping on aluminum! A couple have already sold in the gallery. I think what entertains me most about art and artists is the creative thinking part. You can look at anything, and just maybe, turn it into art. 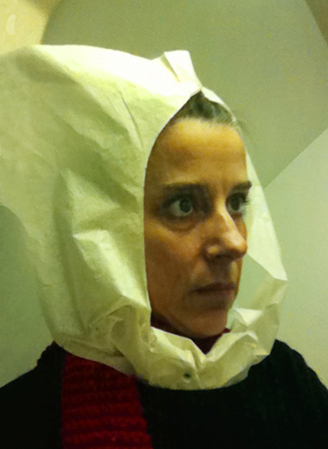 I am going to turn those garden bricks into somebodies, and this artist, Nina Katchadourian, found her inspiration in an airplane lavatory. 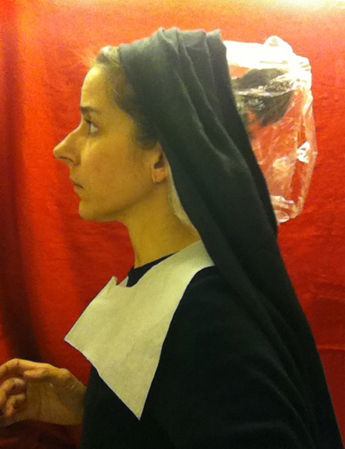 She used everything she could find in there – and her phone camera to recreate classic Flemish “paintings”. If you don’t come away laughing from this website, get your laugher fixed. Art IS everywhere you find it. . .
And the iPad is really helping me see and preserve it. My iPad is ALWAYS with me, and this new one has a camera, so now, literally nothing gets away from me. I was getting my hair cut the other day, and there was a tissue box (generic brand) sitting on the table. It was gorgeous. This is only one part of it . . . I love the style, I love the palette, and I know that this will come out in my own work somehow. I put it into an inspiration journal on my iPad and now I will not forget about it. Well, I can’t sit anymore, so I better wrap it up for today. I guess, in a nutshell, the message for this Sunday is to look for art everywhere – from garden bricks to tissue boxes – even in an airplane lavatory – and for heaven’s sake, make sure that car is in Park before you get out of it!! This entry was posted in Sunday Morning Coffee on April 22, 2012 by jessica. A Heavenly Green Idea . . . I get asked all the time about whether Sheer Heaven can be reused after an inkjet transfer is made from it. It cannot give you another perfect transfer, but it can certainly be used again for many other art projects. We have talked about some of those before, and will revisit them in the future. But, I have discovered another awesome way to reuse Sheer Heaven that is more about the art of gardening. 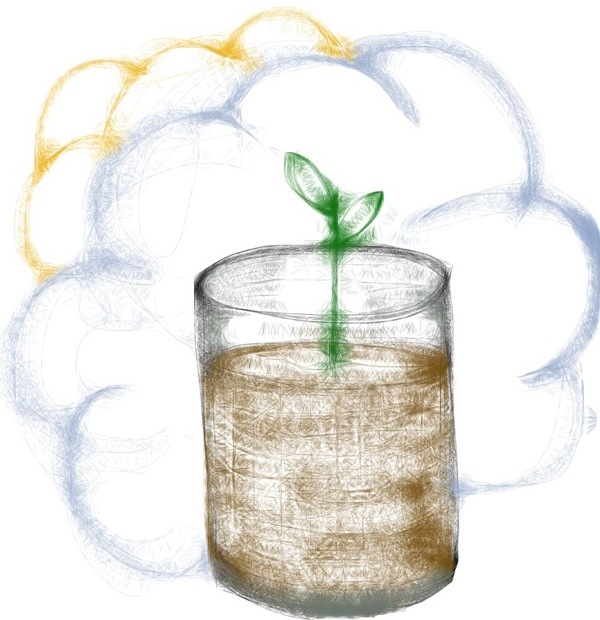 Whether you have actual green thumbs or not, the experience of planting a seed and watching new life emerge is not one to miss, and is one of the great joys of Spring. 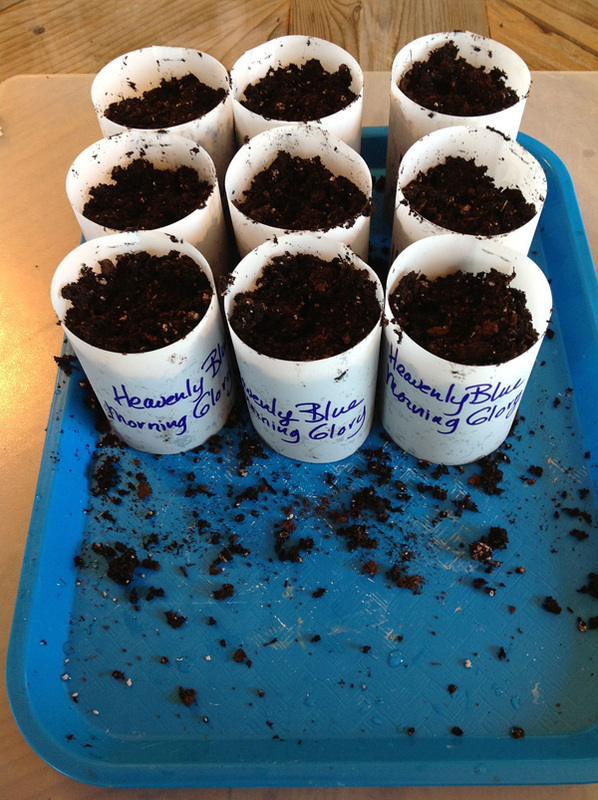 Some plants, like Morning Glory and Sunflower, are very easy to start from seed , and will reward you with a baby plant in no time at all. The problem is that many of these same plants are very hard to transplant later , because the experience is too traumatic for the roots. This kind of plant is usually started in a peat pot, which can be planted in the ground with the seedling and will disintegrate on its own (supposedly). I don’t care much for peat pots because they dry out too quickly, and most of them are too hard for the roots to get through, once the pot is in the ground. 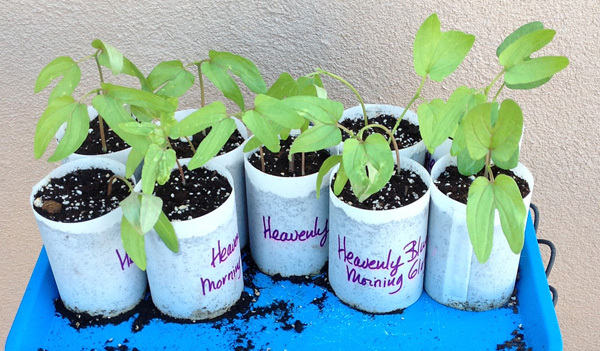 I had read about using the tubes from inside paper towel and toilet paper rolls as seed pots, but my experiments with that were disastrous. Soak one of those in water for a minute and you will see what the problem is. But the article got me thinking. Sheer Heaven could be used the same way, and it would not fall apart when wet. And I surely have a lot of leftovers from Sheer Heaven transfers! 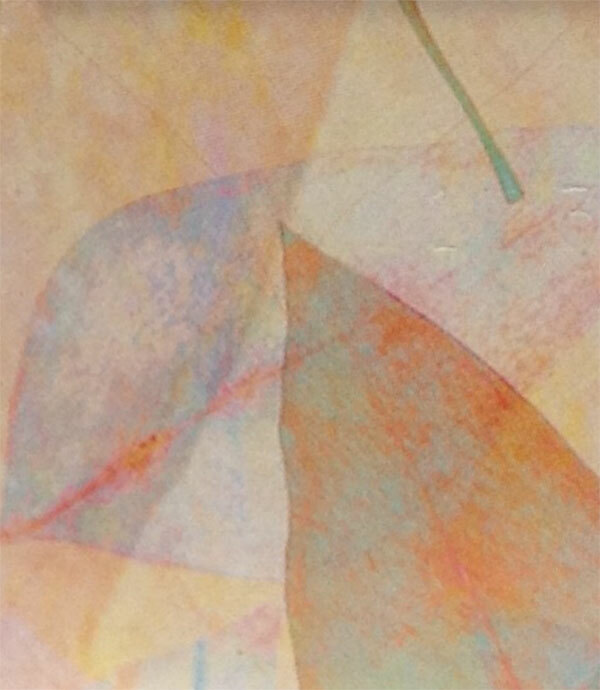 The first step is to cut pieces of used Sheer Heaven that are about 3.5″ x 8.5″. 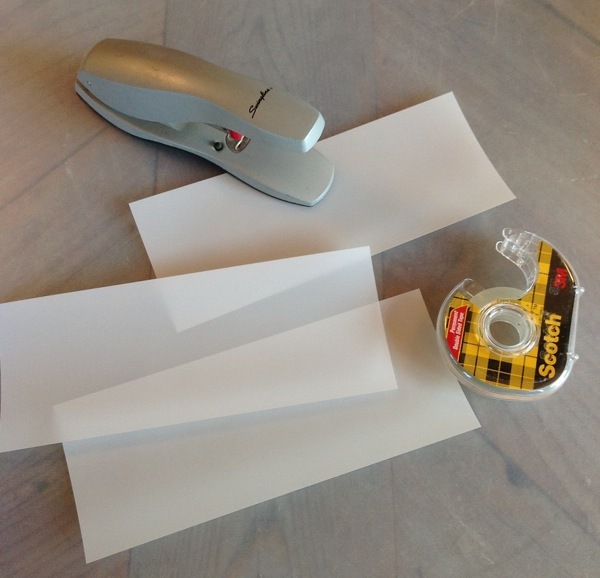 You can get three of these from a letter size sheet, or cut your larger scraps to size. Size can vary a bit. 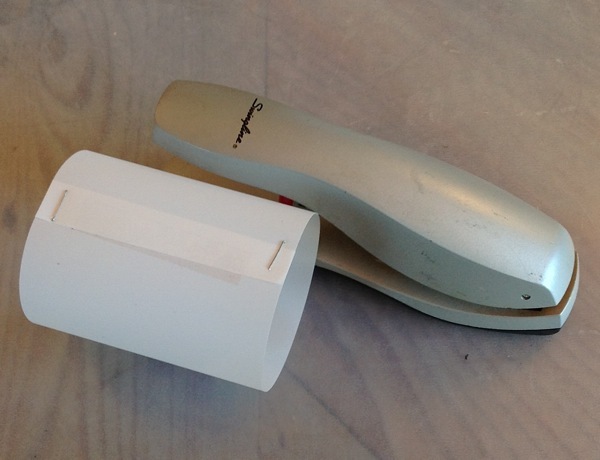 You will also need a stapler, double-stick tape, and a Sharpie Marker. 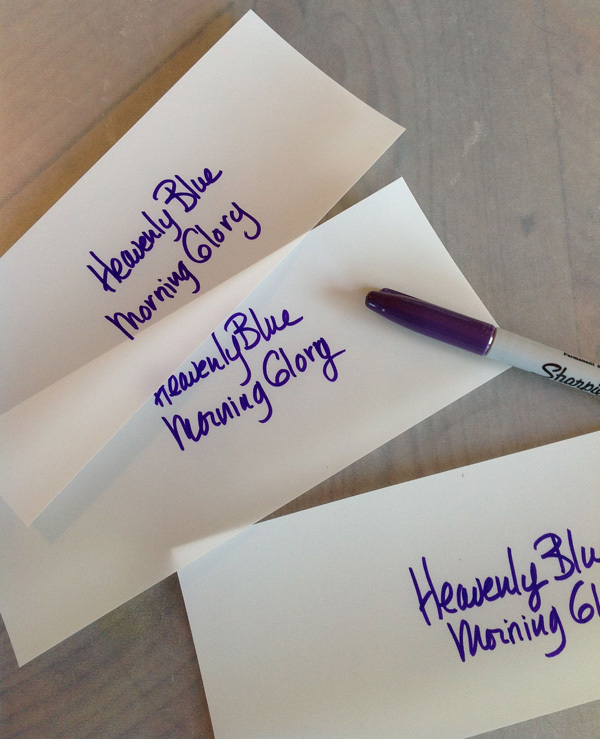 On the good side of the Sheer Heaven, write the name of the seed using the Sharpie Marker . . . 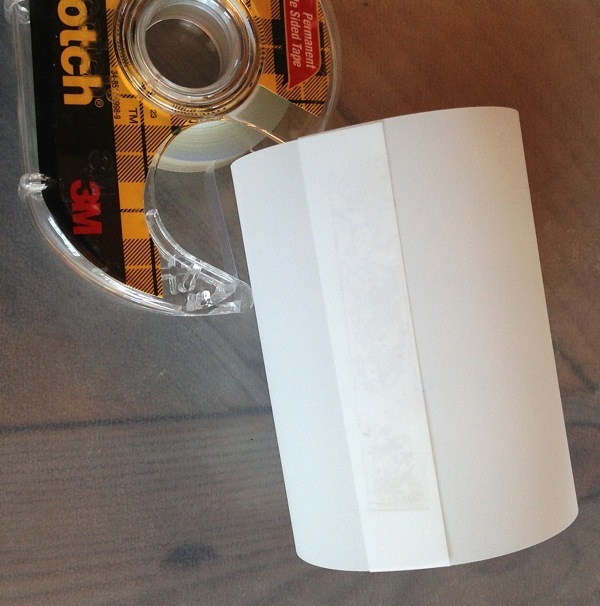 Apply a strip of double-stick tape to one end of the Sheer Heaven – still on the good side . . . Roll the Sheer Heaven so the ends overlap by about 1/2 inch and press together. Be very sure that the bottom edge is an absolute match up . . . Reinforce the join with a staple at each end . . . Stand the Sheer Heaven rolls on a tray with a lip and a flat surface bottom . . . a cookie sheet that will not rust will work fine. The tray is acting as the bottom of the container, so you want contact between its surface and the Sheer Heaven bottom edge. Planting Medium . . . Mix equal parts of potting mix and seed-starting mix and dampen completely without making it too wet – just wet enough to stick together in a ball. 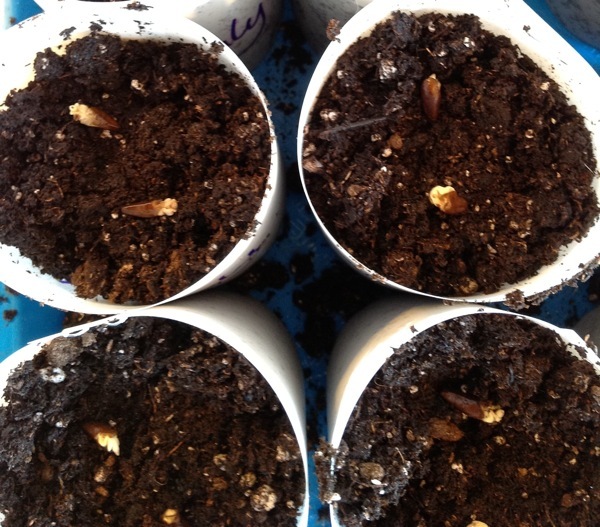 Never use dirt from your garden or potting “soil” to start your seeds because both can contain bacteria and/or insects that will harm your new seedlings. Do not use seedling mix alone because it will not hold together well enough for this method of planting. 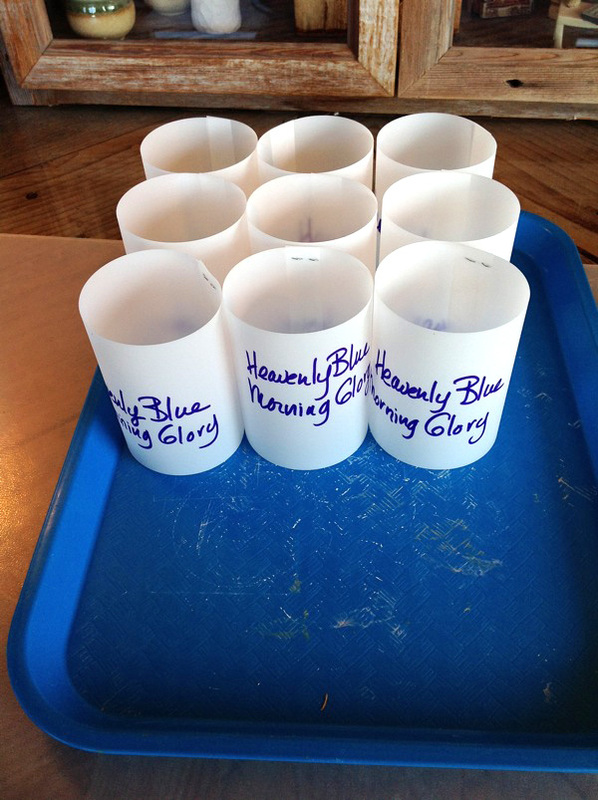 Fill each Sheer Heaven container to about an inch from the top with the planting medium. Tap it down enough so you have a solid fill, but not too much. New seedlings need air in the potting mix. Yes, you will make a mess but that is fun. Gardening is like playing mud pies for big kids. All seeds sprout better when pre-soaked. Large seeds like Morning Glory are easy to soak. Just put them in water to cover and leave them for 12-15 hours. The ones that start sprouting are the ones you want to plant. Drain them and place two in each container – equally spaced and lying on top of the mix. 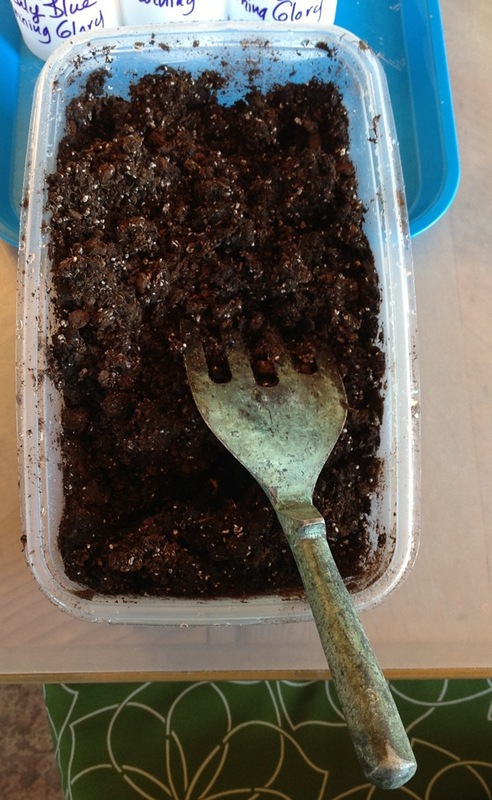 Add another 1/2″ of potting mix to cover the seeds. Pat down very gently. 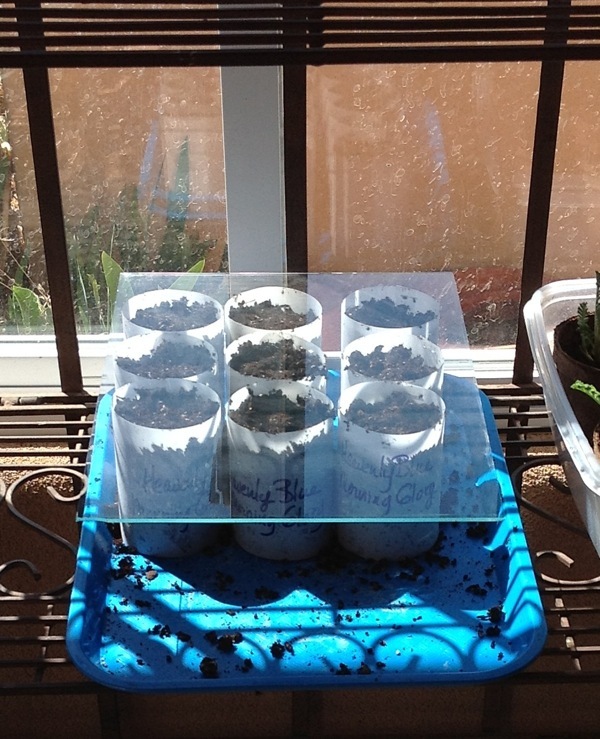 Place a piece of glass or plexi over the containers (to keep in the humidty) and place in a sunny windowsill. You should see the first two leaves of the seedlings within a week. When you do, remove the glass, and keep the potting mix moist by misting (use a cleaned old hair spray bottle for a nice fine mist). DO NOT pick up these “pots” until transplanting time. By then, the roots and settled potting mix will hold the contents together. Right now, everything would fall out the bottom. The new roots cannot grow through the sides of the Sheer Heaven tubes, and so will grow down, creating a deeply rooted, healthier plant. The Sheer Heaven holds moisture in. When it is time to transplant, the Sheer Heaven is planted with the plant and then pulled up halfway to make a little protective “fence” for the fragile seedling – which will protect it from bugs and breezes. When the plant is mature enough, the Sheer Heaven strip is pulled up, washed off, and once the staples are removed, can be stored flat for reuse next year. How green is that!? Note: Place the pre-soaked seeds that did not yet spout within a damp folded paper towel on a plate and keep in a warm place. 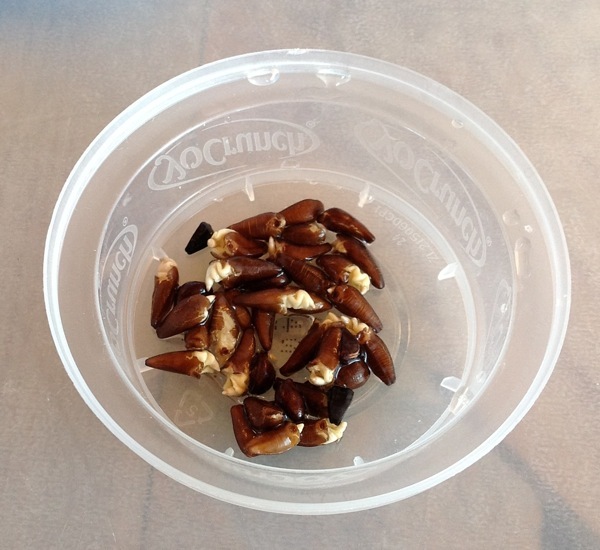 Check in another 24 hours to find more sprouted seeds and plant them. If I have some that don’t sprout at all, I toss them into the yard where I will eventually plant the seedlings. If they feel like sprouting later in the season, they will. Although Copyright has been the most discussed topic among artists on the internet for years (generating the most uptight and boring discussions, I might add), there is a recent resurgence of angst over the subject because of the success of social media sites like Flickr, and, especially, Pinterest. This is a huge topic, and we will discuss it in small chapters. I promise the discussion will be neither uptight nor boring. But that being said, some of you are not going to like some of the things I have to say. And who am I to say? I’m not an attorney, but I am an artist/illustrator,photographer, with wide exposure, who has been copied since I first stuck my head above soil (a seedling reference, of course). I have made my living through art, its sale and licensing. As the owner of a graphics and marketing firm in San Francisco for 20 years, I also dealt in the marketing and licensing of other people’s art and photography. I have been to court and I did win. So, the topic is more than familiar. But the territory is new. The internet has changed so many things, most for the better, and there is no going back. So rethinking is in order, and let’s start with a little recent history. Remember Napster? If you don’t, it was pretty much a stolen music site (circa 1999), which generated a LOT of money for attorneys and was shut down only to emerge as an online music store and then get swallowed by a bigger music service. It was never intended as a stolen music site. It was intended as a sharing site where folks could share music they purchased. Because of infringed COPYRIGHT issues, a legal 3-ring circus was generated. But what came of that? Fast forward to today. Can you say MP3? Have any on your computer? On your iPod? Where are the record stores? Do you still buy CDs and listen to them on a bulky CD player? Are musicians still able to sell their music? Yes. Are MORE musicians able to sell their music? Yes, because they can get exposure for work that would NEVER have seen the light of day through the old paradigm of the music industry – where fat cats were in charge of whether your music lived or died. Are the fat cats still mad about all this? Yes. SHARING is the huge issue in the changing landscape of copyright, and an agent for change so massive it can topple huge industry icons. Just a couple of months ago, we almost allowed the beginnings of censorship – in the hands of Washington DC legislators who have NO internet savvy – all in the name of the fat cats of the movie industry, still fighting the uphill and losing battle to keep their industry the same as it always has been. The only “has been” in all of this is the status quo. All things change (these days at an alarming rate), and intellectual property rights are in the whirling center of the change. Do we have to rethink things? Yes, we do. But, once attracted (found her through Pinterest, btw), I found much more to appreciate. She is the prolific blogger I wish I had time to be – lots of posts and all creative content – no blather. 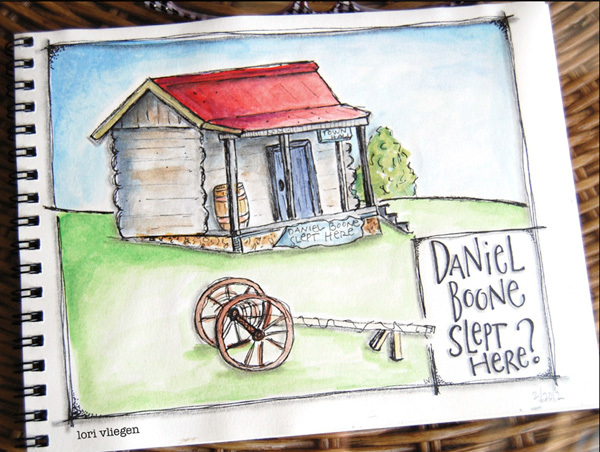 I love that Lori is willing to grab her pens and watercolor pencils to tell any story, big or small. She also dabbles in crafts projects that are clean, design-y, and different. Her hand lettering is wonderful, and she has a workshop to share her techniques with you. Her blog is clean and simple and a pleasure to browse. You can spend some big pieces of time here . . . without a wasted moment. 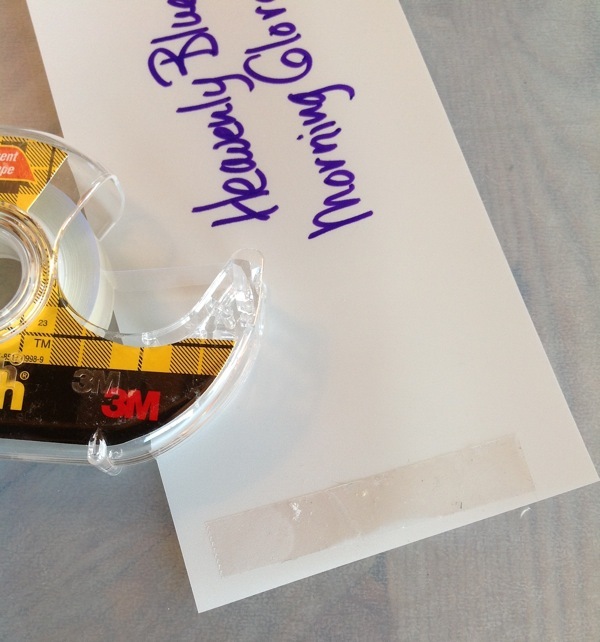 This entry was posted in Sunday Morning Coffee on April 1, 2012 by jessica.